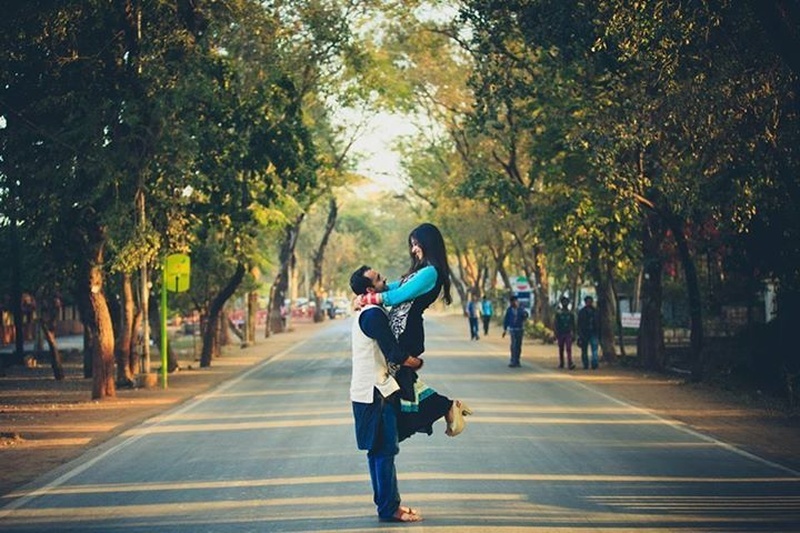 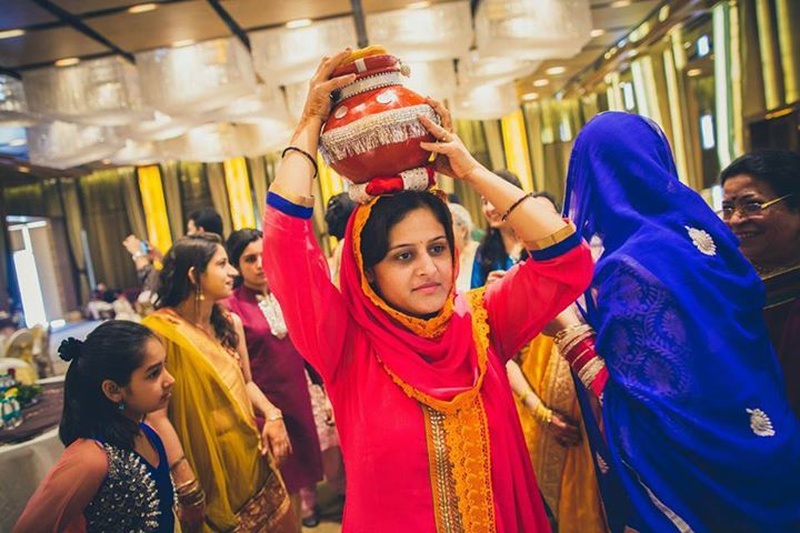 This wedding affair was all things desi and fun. 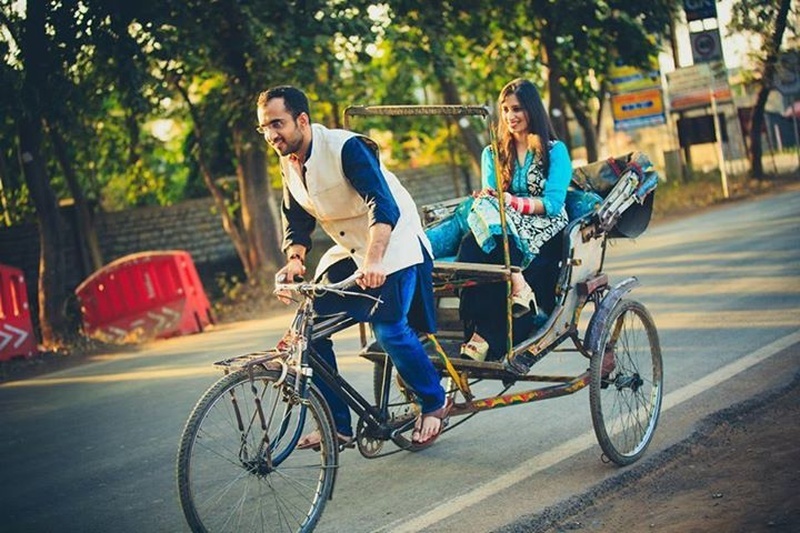 The bright reds and greens, the ethnic jewellery and (our personal favourite) the very Bollywood rickshaw ride! 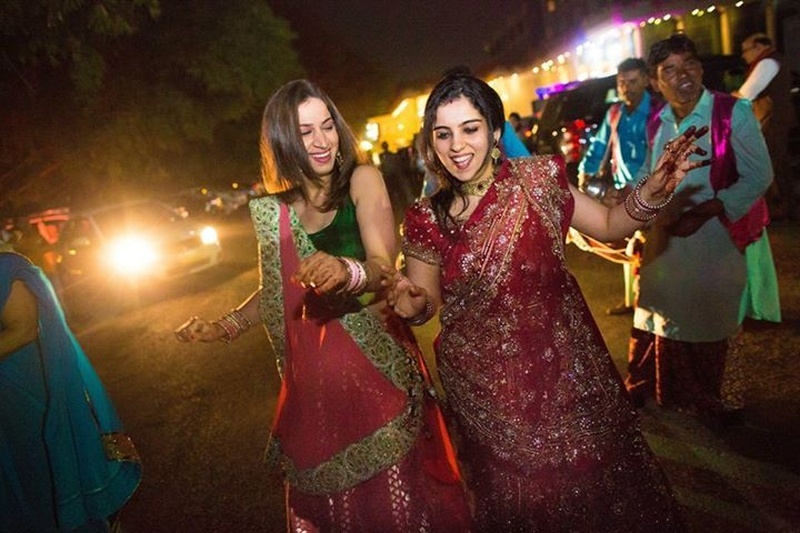 Ashish and Arpana went all out on the fun factor for their wedding – the dancing and happy faces with bright smiles serve as proof of just that. 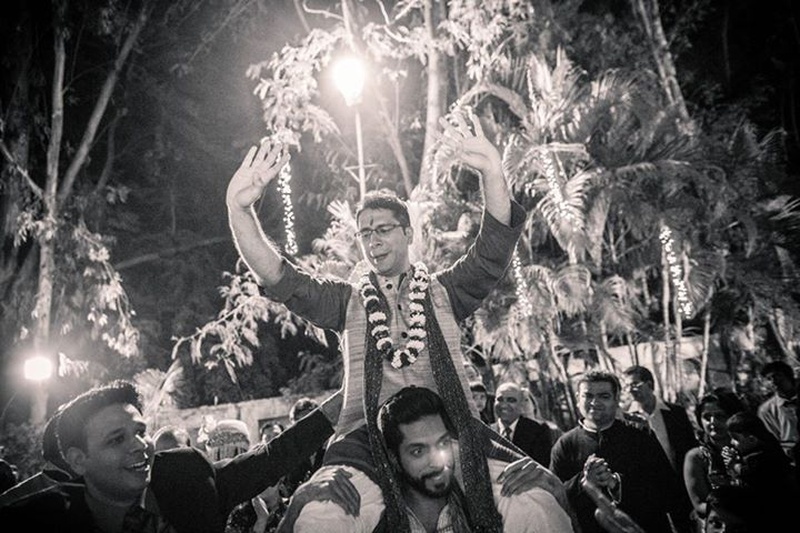 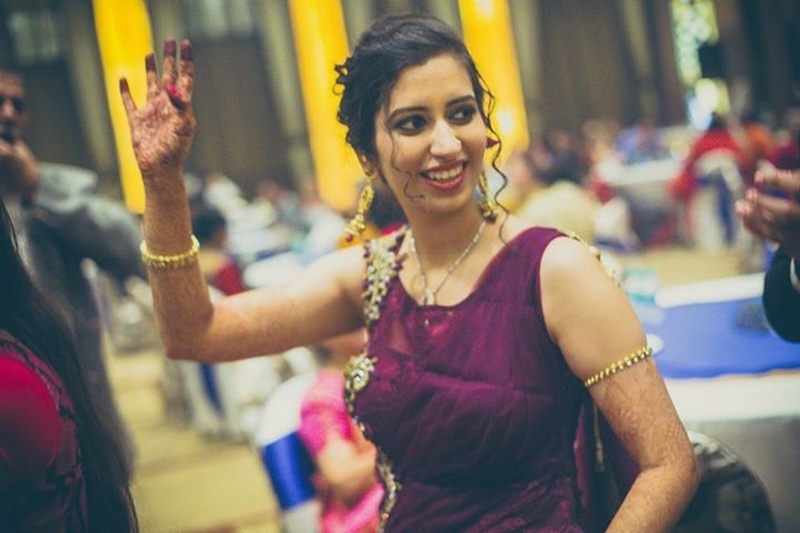 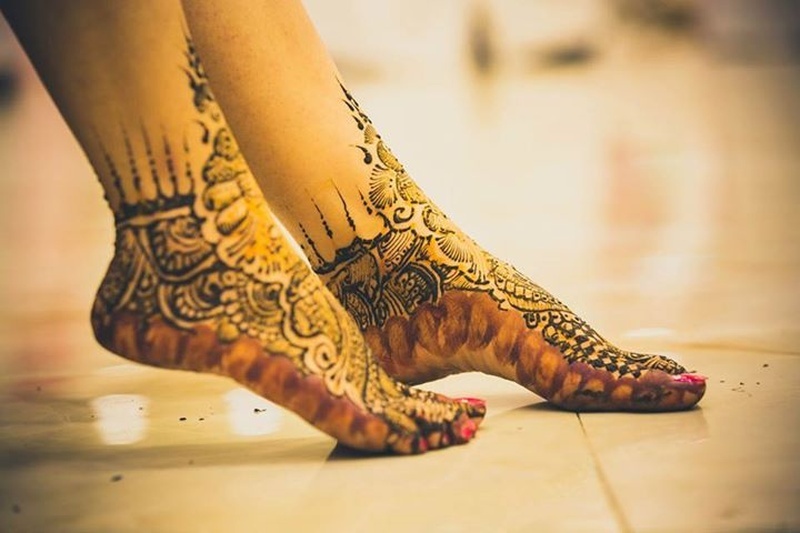 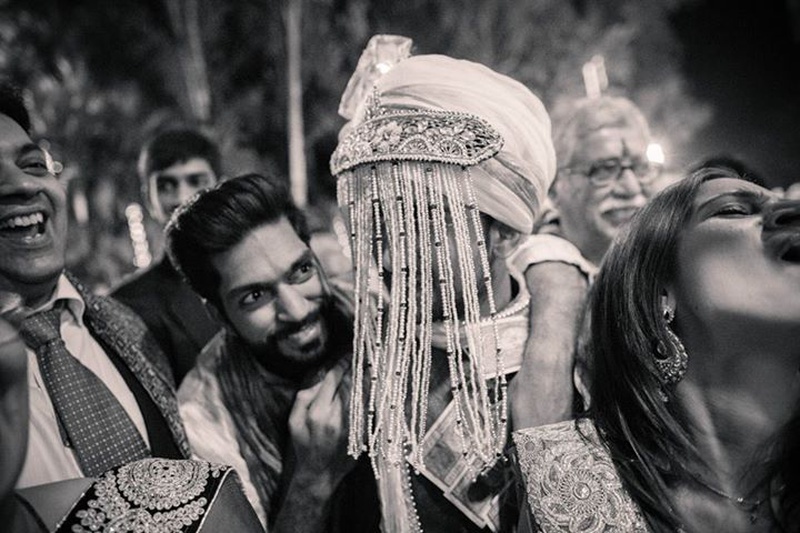 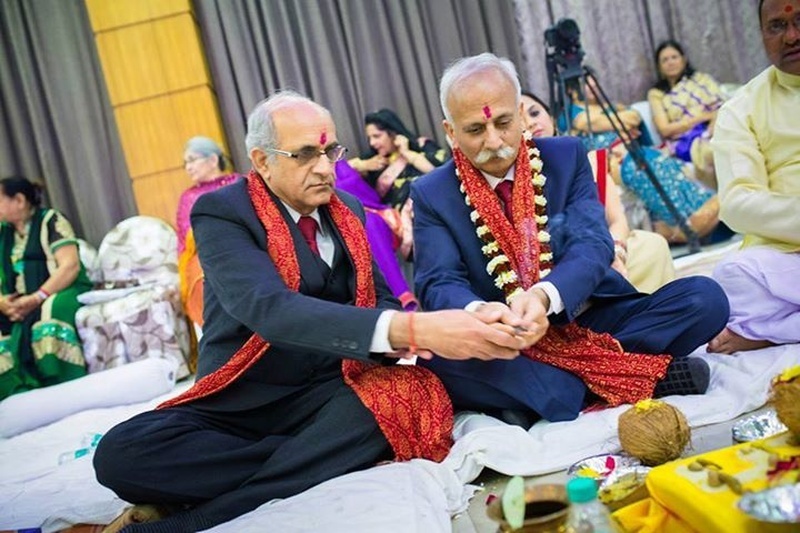 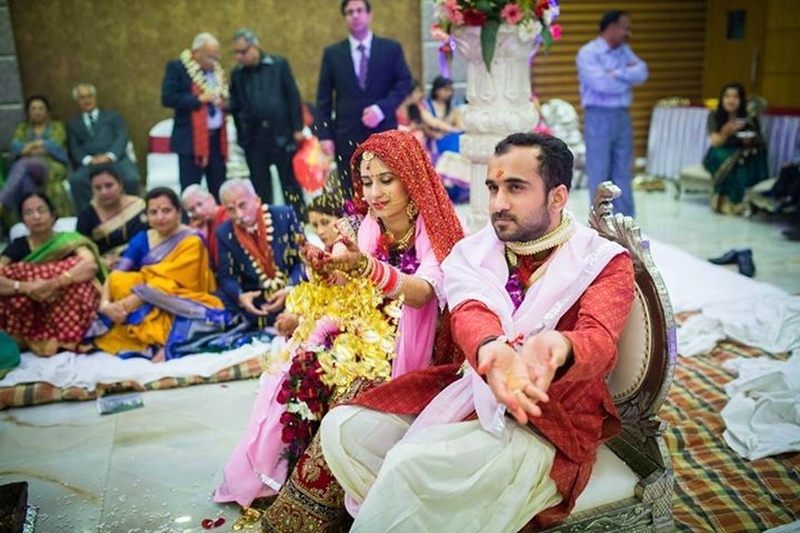 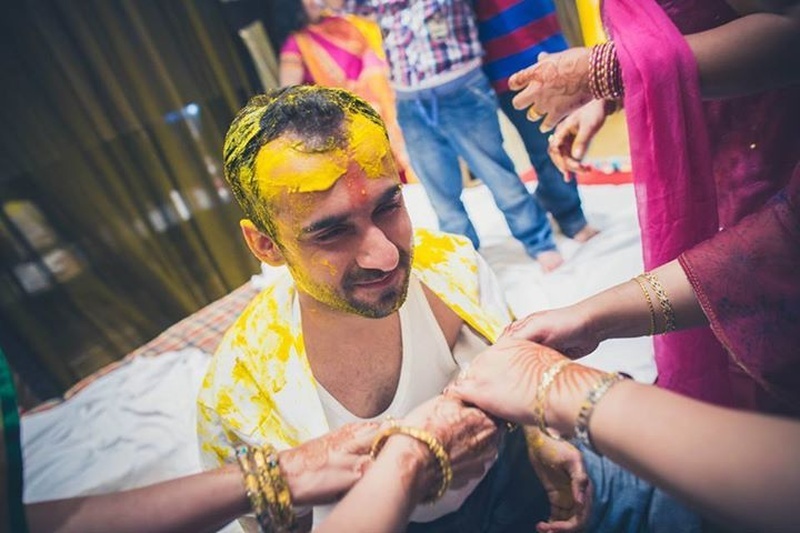 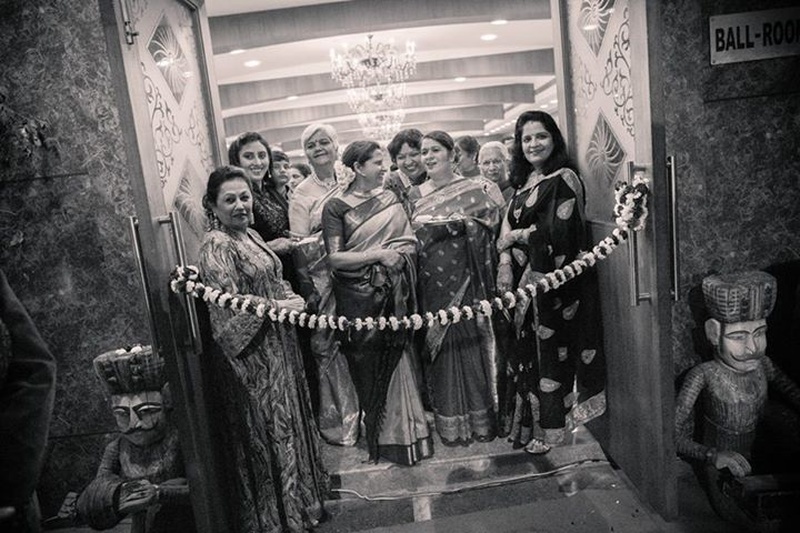 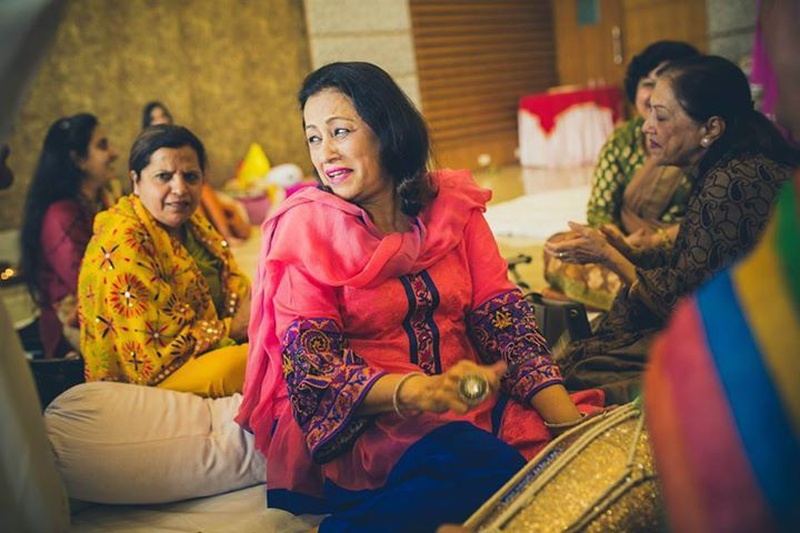 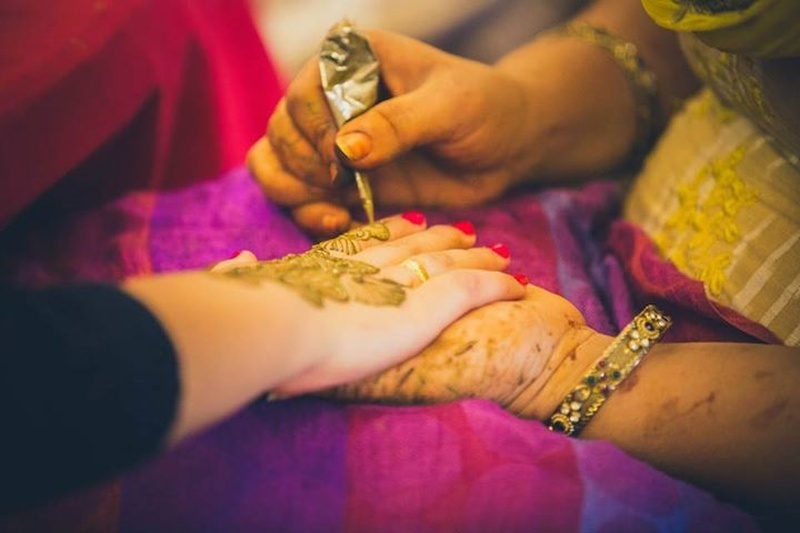 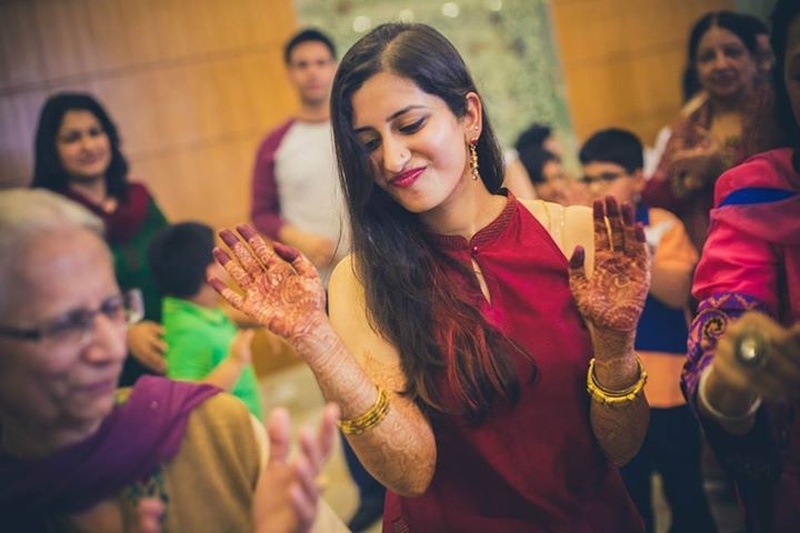 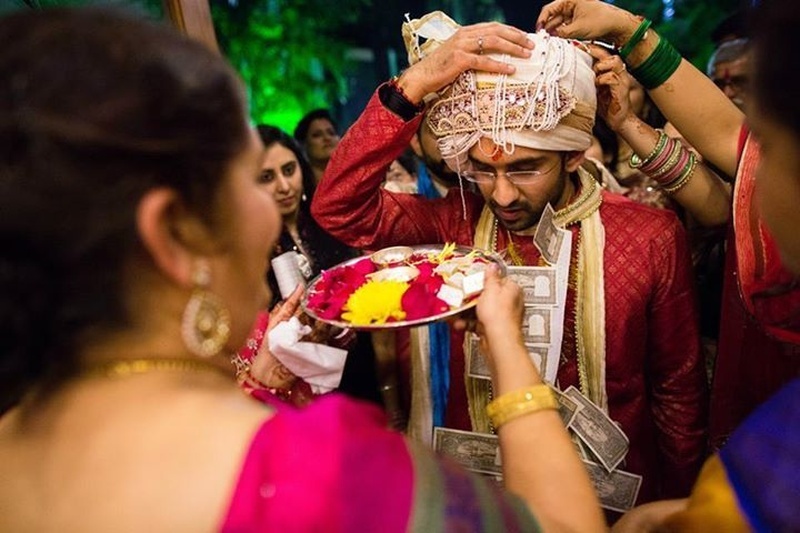 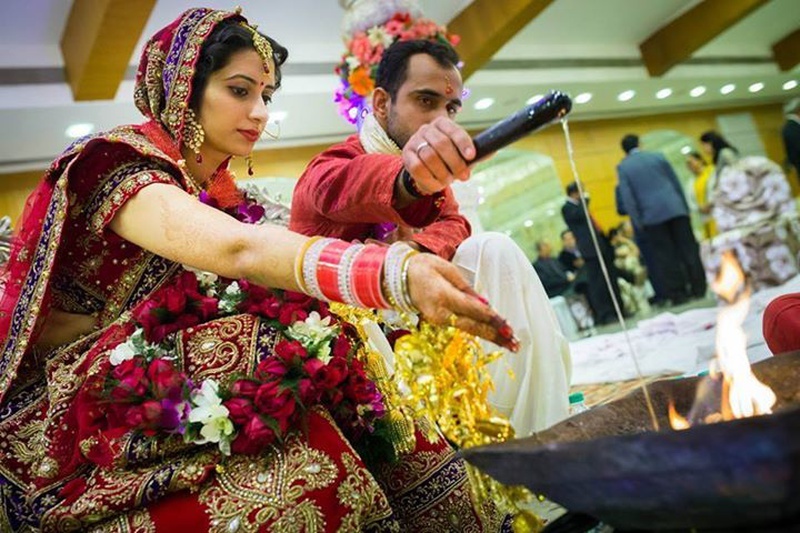 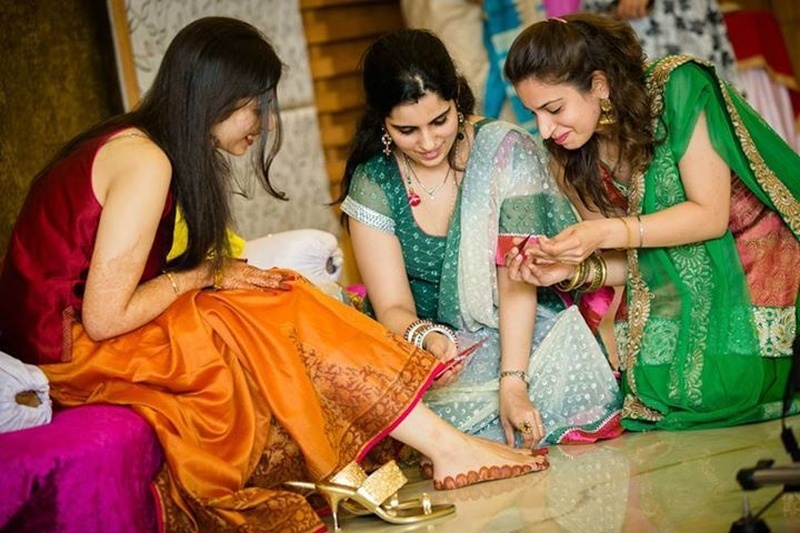 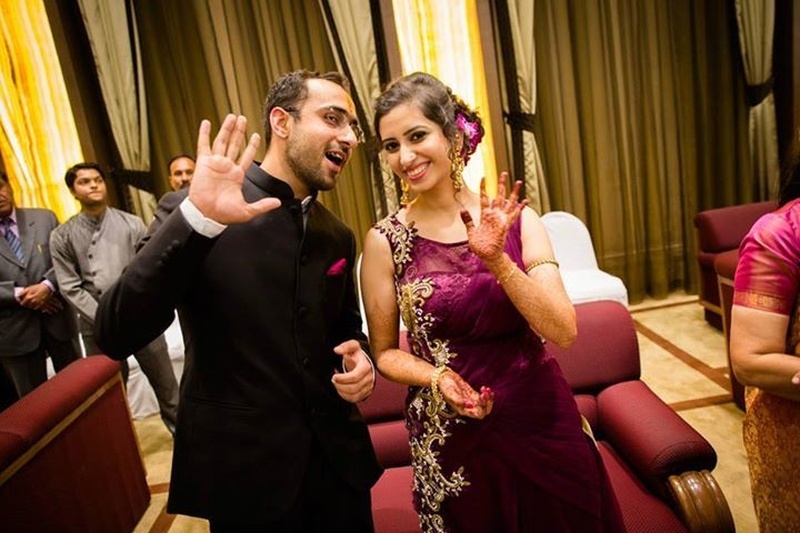 Their celebrations began with the mehendi ceremony held in the presence of close family and friends. 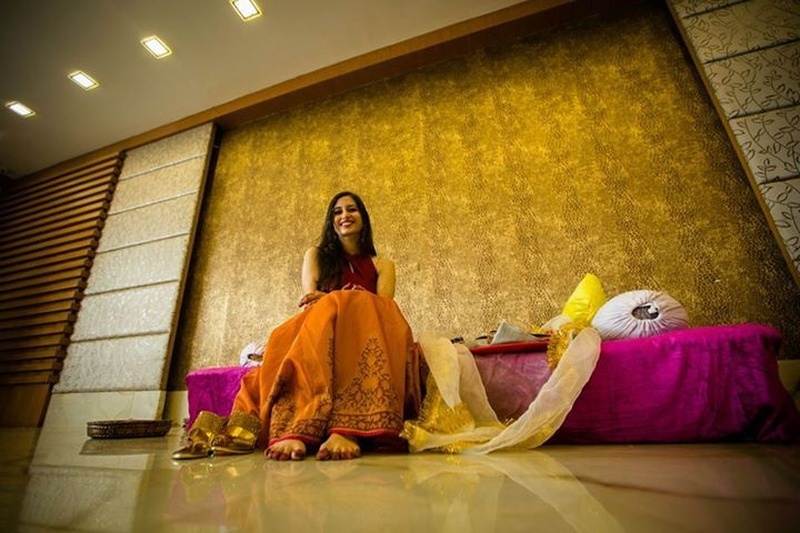 Arpana opted to go minimal with her look and jewellery, dressed in a rust orange skirt and maroon blouse, still looking absolutely ravishing. 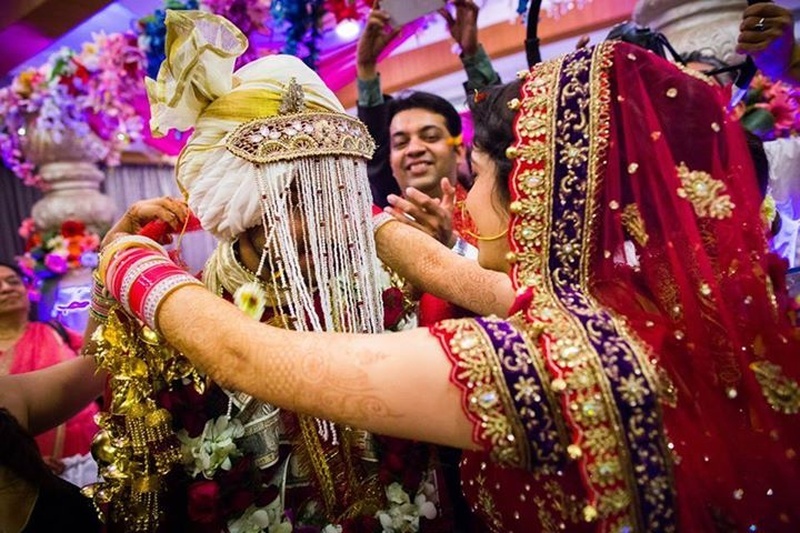 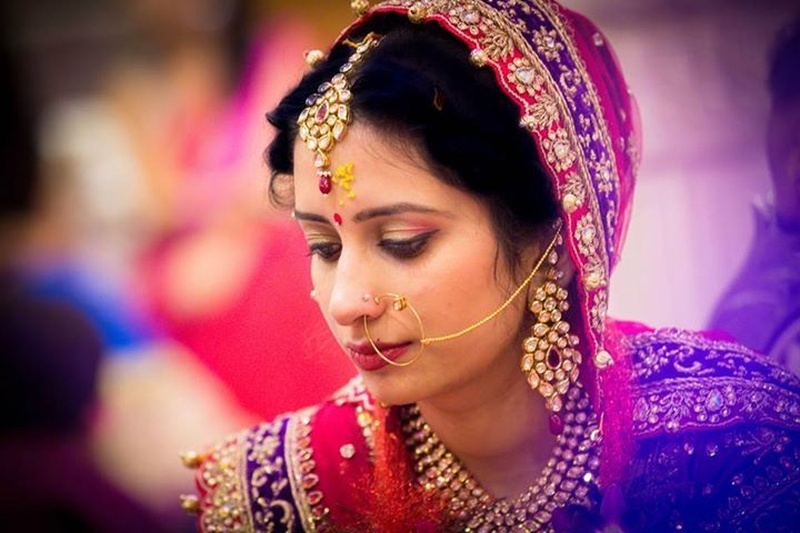 This beautiful couple became one as they took their Saat Pheras in a brightly-lit banquet hall. 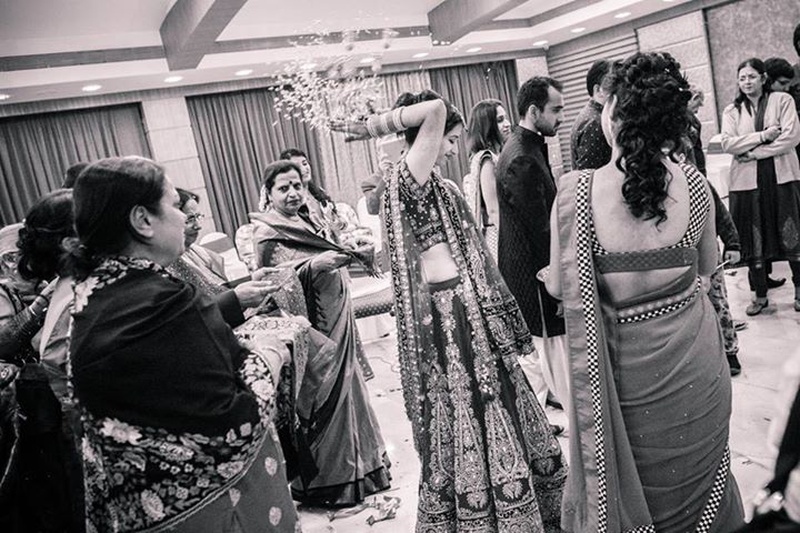 Aparna made a stunning bride in her bright red and indigo blue kalidar lehenga that was intricately embellished with crystals and stones. 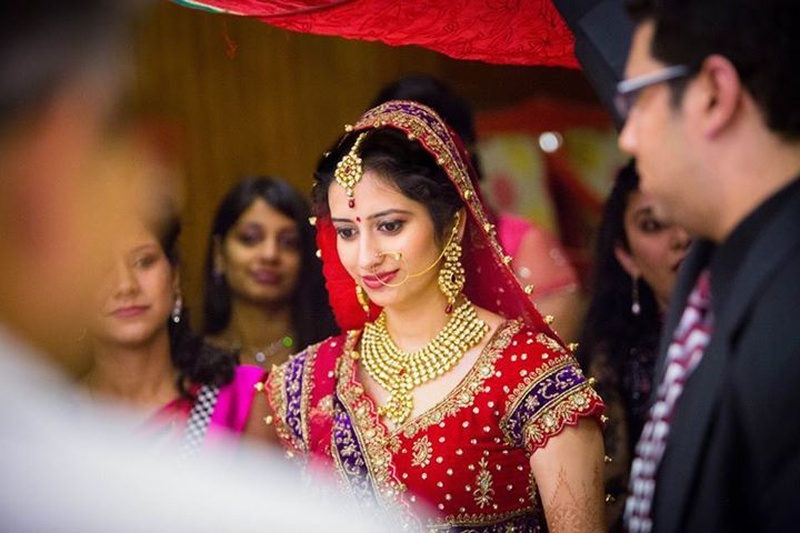 She accessorised her look with a bold multi-strand polki necklace embedded with a red stone drop matching earrings and a maangtikka. 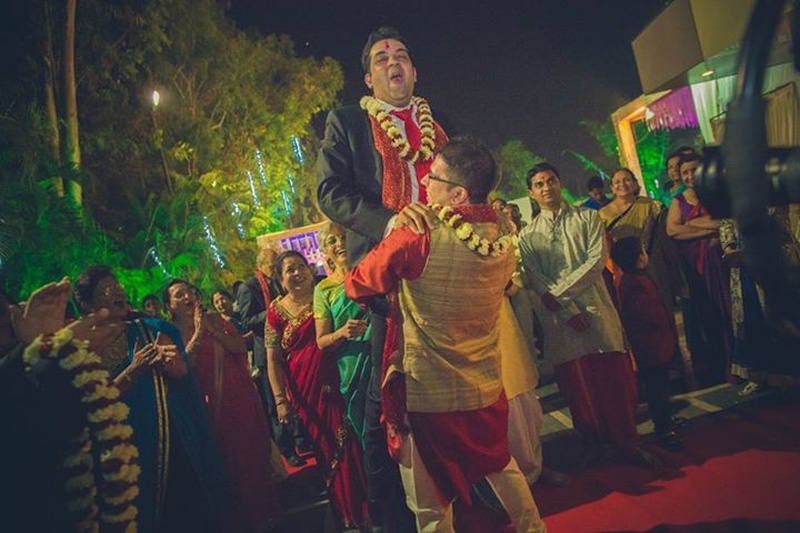 Ashish wore a red kurta and dhoti, complementing his bride’s entire attire just perfectly. 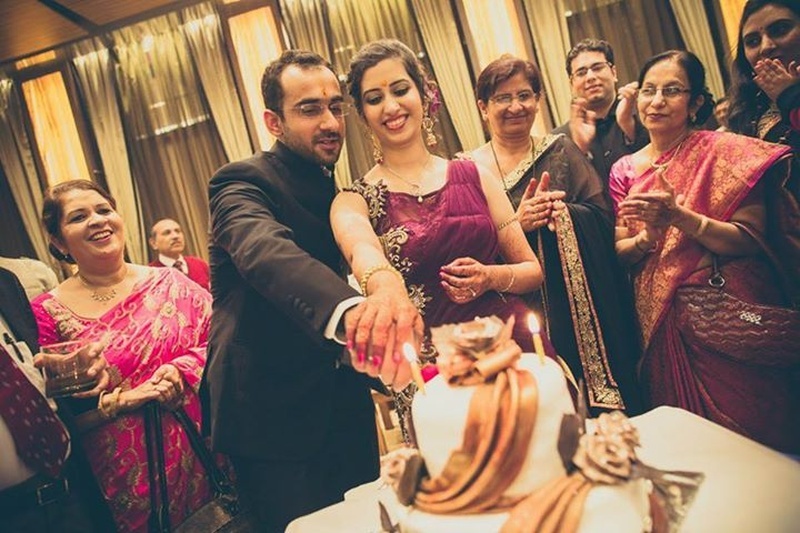 Their Bollywood-styled post-wedding photoshoot by the talented team at Candid Shutters Photography was a hit. 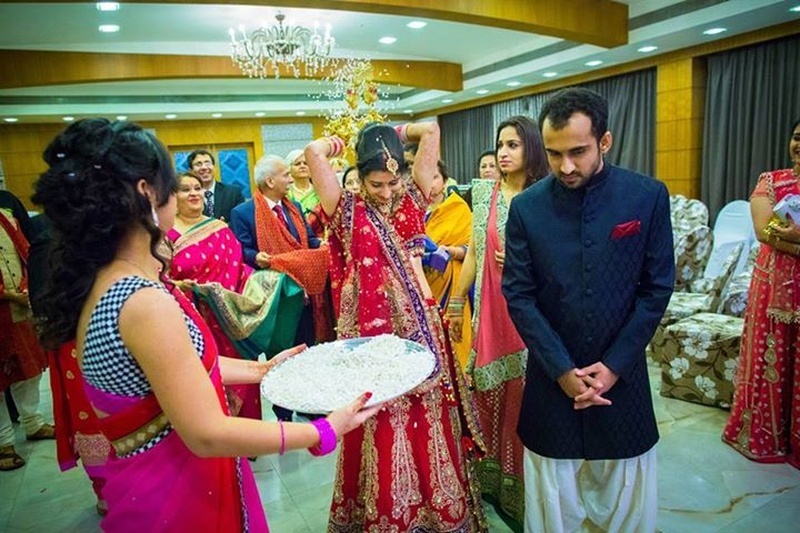 It brought about a new, fresh edge to their traditional marriage ceremony. 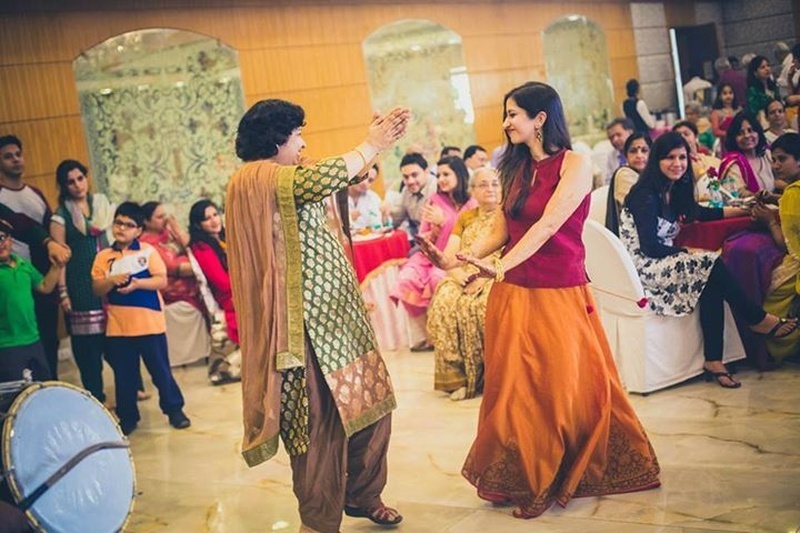 Shaking a leg with a chirpy Auntiji! 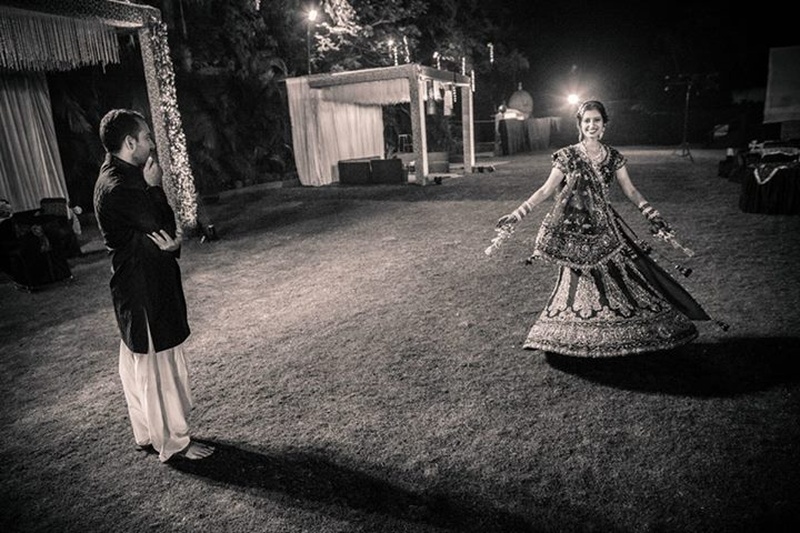 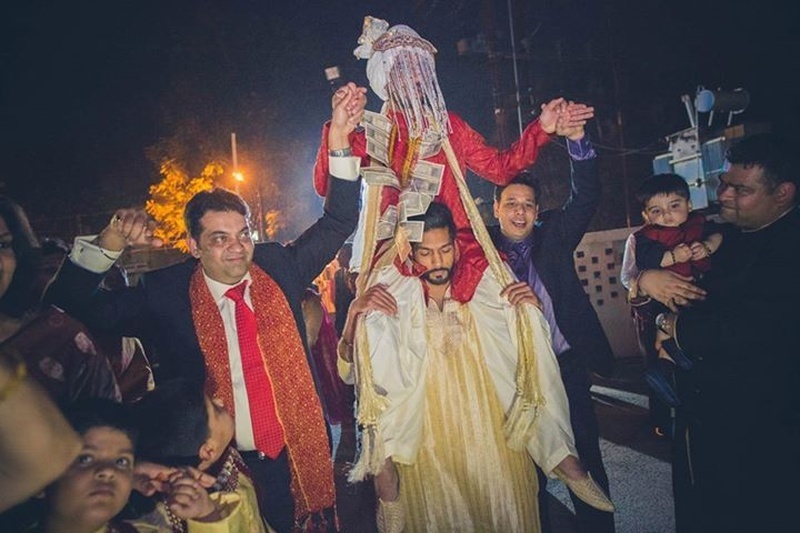 Aparna and Ashish performing their wedding rituals, going to be knotted for FOREVER!